On Friday's show Julie teased us about a secret room inside the Big Brother House, She told us, "Another twist is about to be unleashed. Throughout the house are clues to a secret room. 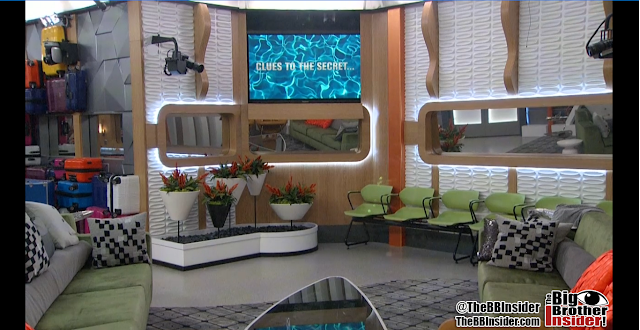 Any Houseguest who figures it out will unlock this room and could gain a power to change their fate in the Big Brother house. " Then on Saturday, we broke the news that the clues and the room had already been revealed. We were just waiting for the houseguests to figure it out and find the room. Well, seems like Big Brother was tired of waiting for them to figure it out. 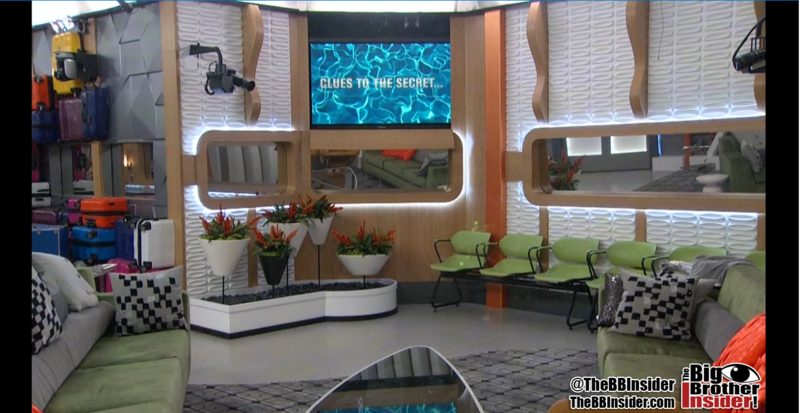 So Today at approx 4:14pm BBT they put up a message on the screen that read, "Clues to the secret..." "Are all around you" "You may want to keep it to yourself..."
Immediately everyone, or everyone awake anyways, began scrambling looking around the house for clues. Eventually they got the idea that the posters around the house connect to the departure board which connects to the telephone booth upstairs. Nearly every houseguests had a chance to enter the phone booth and attempt calling numbers. It wasn't until Paul tried that we heard a congratulations message. It was hard to hear, but it sounds like it said something to the effect of, "Stay calm and don't panic. You are about to be given top secret information. Congratulations, you have just discovered the secret destination. By your feet a door will unlatch to a tunnel. Once inside, use the rope to close the door behind you then crawl through the tunnel to the secret destination. It may be in your best interest to keep this secret for now. If you are ready to enter the tunnel the door will open in five seconds, if not please exit the phone booth now. Return when the coast is clear and dial "PARIS" again." Paul hung up and tried to distract Frank and Bridgette so he could gain access to the room alone. He told James and Corey he had the code but just needed time. Eventually, Paul got impatient and called the number again - and at approx 5:39pm BBT Paul gained access to the secret room. 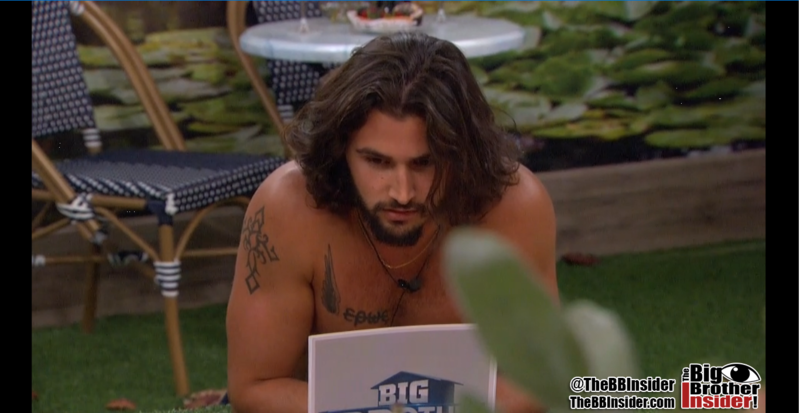 Paul entered the tunnel with Natalie, Da'Vonne, and Corey watching. He ran up the tunnel and entered the room. Once inside, he grabbed the note sitting in the middle of the room. This is what the letter said, "Before you are 12 sealed envelopes. Each one containing a Big Brother airlines ticket. 11 envelops have a one way ticket, but one holds a round trip ticket. Any houseguest that finds this secret destination may choose one envelope. Once an envelope is claimed it is yours - and you may not exchange it for a different one. If you are evicted your envelop will be opened on stage revealing your ticket. If you hold the round trip ticket you will immediately go back into the Big Brother house for a second shot at the half million dollar grand prize. You must keep the envelop sealed as the ticket inside is only valid if opened on the stage with Julie upon your eviction. If you open your envelope before your eviction it is void. If you tamper with another houseguests envelop you may be subject to a penalty. It is up to you whether or not to tell the other houseguests about this room, or the envelopes. Remember, the more people that enter the room, the greater [Feeds cut]." 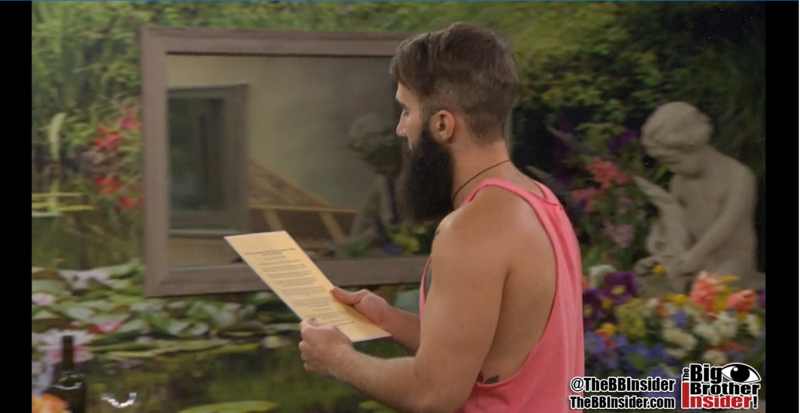 Paul then picked a card and returned to face his fellow houseguests. He began to tell them a vague description of what was inside the room and how he got in. Told them the entry was a one time thing. None of them believed him. They immediately began to go back upstairs to investigate for themselves. Frank pushed Paul to give him the code, but he wouldn't. Shortly after Paul's failed attempt to detour them, a few houseguests entered the phone booth and tried to enter. Victor ended up successfully gaining access at 6:05pm BBT. Once inside, he quickly grabbed a card then retreated back. The feeds cut to fish for awhile, eventually they returned and everyone had a envelope. Michelle was the last one to receive an envelope. So what do you think about Paul finding the secret room? What do you think of this "power" to re-enter the game? Let us know your thoughts in the comments below!